European Fashion is here in US! This Beauty just came directly from Europe. Black Sea Paradise inspired, this Jewelry is built only from natural components. Unique and contemporary design makes this Necklace an excellent fit for any occasion. 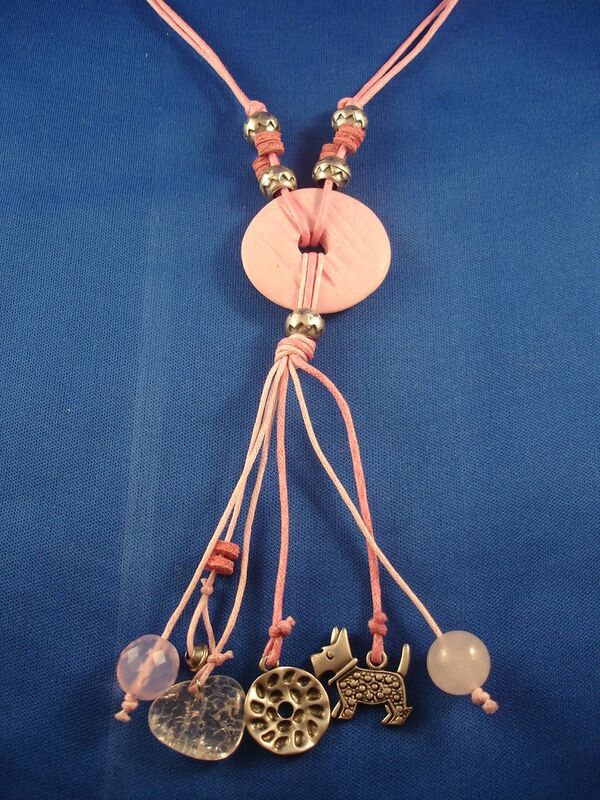 It's a perfect combination of Pink Ceramic Pendant, Dog Charm, Genuine Stones, Metal and Ceramic beads on doubled Cotton Cord. Comes with extender. Anti-allergic Jewelry, Lead and Nickel free. Superior quality, designed and handmade in Europe.